Auditor Dave Yost unveils his findings after reviewing ECOT records on student participation in his Columbus office. The state auditor says the state’s largest online charter school committed fraud by inflating student participation numbers in order to continue collecting millions in taxpayer money. As Statehouse correspondent Andy Chow reports, the auditor is now turning over his findings about the Electronic Classroom of Tomorrow for possible criminal investigation. 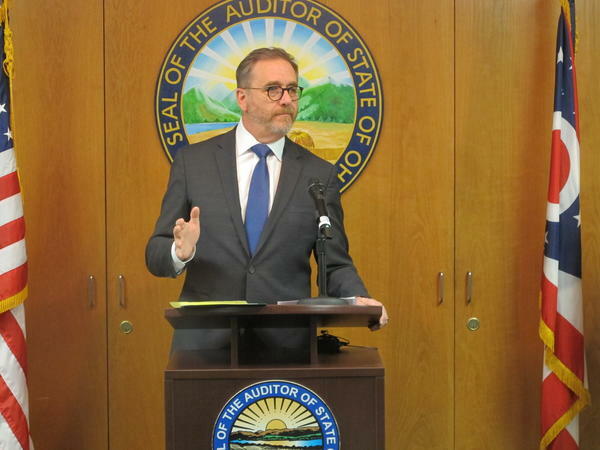 After years of speculation over how many students were actually attending ECOT full-time and if the school might be making up data it was submitting to the Ohio Department of Education, Auditor Dave Yost says they now have proof. “For the first time we can prove that ECOT submitted information to ODE in order to get paid that it knew to be false when it was submitted,” says Yost. According to Yost, ECOT handed over a large amount of documentation to the Ohio Department of Education tracking log-in and log-out times, but those records did not include detailed information reflecting what programs the students were on or what websites they visited. When taking a deeper dive into those records, Yost says ECOT did not deduct anything from a student’s time spent on the computer. That means everything from learning time, idle time or time spent on non-learning activity was all included. In one example, Yost notes one student logged 8,857 hours on ActivTrak. That’s impossible. There are only 8,760 hours in a year. “Submitting false information in order to get money to which one is not entitled is fraud and it may also be a criminal act,” Yost says. Meanwhile, ECOT is still locked in an Ohio Supreme Court case with ODE based on past alleged student participation inflation claims. The state found that ECOT only had about 40% of the full-time students it claimed to have. That resulted in the state clawing back about $60 million. What was once Ohio’s largest online charter school closed in January because of the financial troubles connected to the claw backs. The special master of the court in charge of ECOT at the moment does not offer public comments. ECOT’s former spokesperson and longtime Capital Square consultant Neil Clark says the school is not getting a fair shake and says that the entire issue has become politicized. Clark argues that there’s nothing in state law that defines what should be counted as student participation or how to count idle time. Yost believes ECOT may have been cooking the books for years but ran unchecked because of the lack of strong transparency laws. “This was set up under a weak system in my office’s reports and my testimony before the General Assembly for a number of years,” says Yost. But Yost hasn’t always been critical of ECOT. In fact he’s spoken at the school’s commencement ceremony, awarded ECOT the Auditor of State’s Award, and accepted nearly $30,000 in campaign contributions from the school’s top officials. ECOT’s founder, Bill Lager, has been a major GOP campaign donor over the years. Sandy Theis, who’s been a vocal ECOT critic, says Yost and other Republican policymakers are to blame for that weak system. “The Republican Party brought the charter schools to Ohio. The Republican Party eliminated charter school oversight and the Republican Party took the lion share of the millions in campaign contributions that ECOT made,” Theis says. Yost counters that he only promises his campaign donors one thing: good government. As for his speech at ECOT’s graduation, Yost says he was there to support the students who worked hard and earned their diploma. However, Yost’s political rivals are pouncing on the ECOT issue and say the auditor should have triggered a criminal investigation sooner. Democrats claim that valuable evidence might have slipped away in the meantime. Though it’s been closed for more than four months, critics are now accusing what was the state’s largest online charter school of deliberately manipulating student data to defraud the state out of millions of dollars. The allegation against the Electronic Classroom of Tomorrow is coming from a former employee. That allegation is now part of a larger investigation. 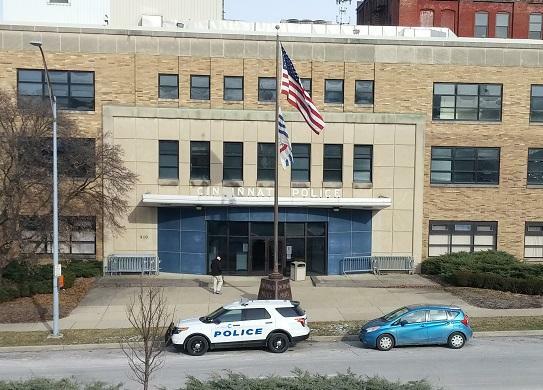 Ohio Auditor Dave Yost confirms his office is conducting a review of overtime pay at the Cincinnati Police Department.